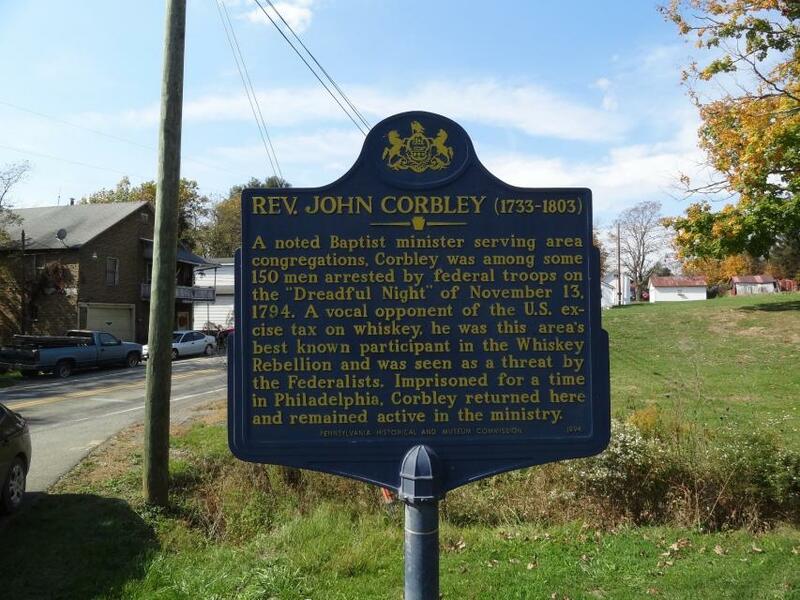 A noted Baptist minister serving area congregations, Corbley was among some 150 men arrested by federal troops on the "Dreadful Night" of November 13, 1794. A vocal opponent of the excise tax on whiskey, he was the area's best known participant in the Whiskey Rebellion and was seen as a threat by the Federalists. 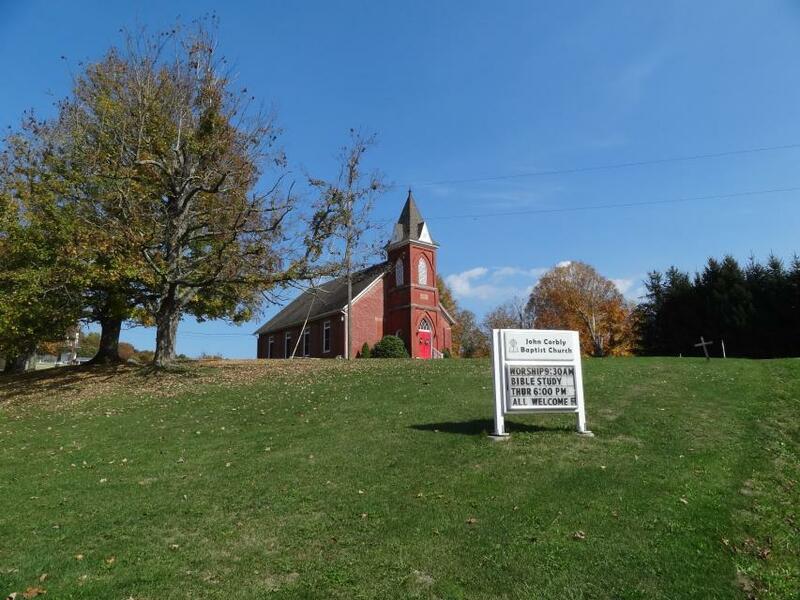 Imprisoned for a time in Philadelphia, Corbley returned here and remained active in the ministry. Great spot in town with plenty of space to pull over. This marker can also be identified by its HM code. You can use the hashtag #HMW9I in tweets, and any other place where you might refer to this marker, including when searching on this site.